The Little Label With A Big Bark! What a review for “Ride The Iron Road”!!! This JUST in… the first review for Ride The Iron Road, and boy is it a nice one!! See the post here (at the bottom). 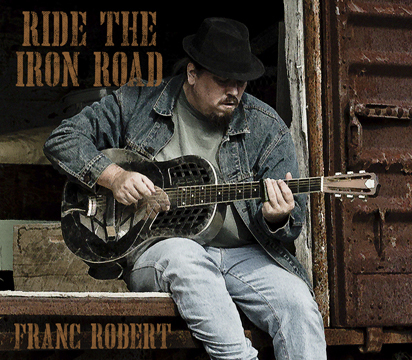 “Chihuahua Blues” from the upcoming CD Ride The Iron Road, is now available as a single on iTunes! To help whet your appetite, here’s a performance video of the song, recorded back in January, 2014. The CDs are here!! The CDs are here!! The CDs have arrived today!!! Order your copy now for only $10.00 US shipped (US Addresses only-international orders, please contact us!) Just use the Paypal button below! “Hearts In Blues” by Bear & Robert Available April 2nd! Today’s The Day! Goin Down To Florida is released! Goin Down To Florida Radio Play!!! “Goin Down To Florida” will be released June 23rd!!! Off to the Recording Studio!!!! ah leah on Coming Soon!